Christmas is a special occasion meant to be spent with friends and family. A season full of love, warmth, and laughter. As such it’s not a season I would ever exclude from my stories. Especially not with my Calliope and her friends and family. There’s lots of thoughts circulating around my head. Especially about chapter eight which I have yet to finish of Crimson Betrayal. I’m wondering if I should maybe do some Christmas traditions in my story? What are some of your favorite Christmas traditions? I’m really trying to consider if I do this, however, what they should be. After all my character has met only just met her father in the previous book. She’s a princess so obviously some of the rituals would probably be different than the ones mere commoners employ, and yet I didn’t really have them do anything special. There was no fancy Christmas dinner and she spent time with both her father and her boyfriend’s family’s and exchanged gifts. Neither she or her father are pretentious, stuck-up people. I was thinking maybe instead of a Christmas tradition (since these can take a while to adapt to especially when you’re still figuring out and developing relationships with people) that maybe they could go to an orphanage or to those in need and donate some time and money to the less fortunate and try to build some morale – because strange things are happening, people are disappearing and dying, and there are things going on that really can’t be explained. There’s confusion and pandemonium, and I’m sure the king would want his peoples to feel at ease especially with a special holiday such as Christmas. I think that I really like this idea. Have you ever done anything to benefit others on Christmas? I’ve been doing a lot of thinking about my novel. Amethyst Epiphany was so easy to write, but I’m having some problems with it’s sequel Crimson Betrayal. I actually have more ideas for the third novel than I do the second, so I’m hoping that issue is soon resolved. I hate it when my mind gets ahead of itself which happens quite often for me. My thoughts fly quicker than my fingers can possibly keep tempo. I really quite like this series. I’m planning on it only being a trilogy, but who knows? I might end up making it into a four book series like Christopher Paolini did with his Inheritance series. Don’t know, only the future knows what it shall hold. I have so many novels in me waiting to be born that it’s hard to say what will happen. I really love the faeries of my series so much. Each one has a unique look specific to them even if they resemble their parents closely because I feel people like snowflakes while all the same thing are individual and beautiful in their own, there’s some nuance and little quirk that makes them the person they are which makes them different than anyone else.Which is what I tried to convey in my creatures and characters. Each faerie has typically two and sometimes even three colors in their wings, and their markings are widely varied. Some have typical shapes like moons and stars, while some of them have actual animals. 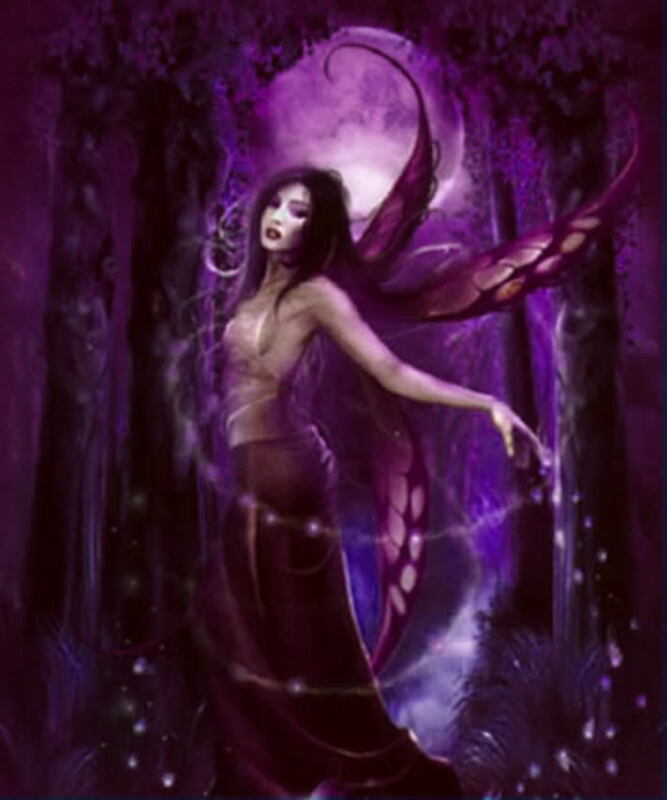 If you were a faerie in my realm, what do you think your wings colorization and markings would be? I’m not sure where this lovely photo came from, but it reminded me strongly of my upcoming novel. I thank the artist for their lovely abilities, and I hope they don’t mind me posting this straight from google. It’s almost hard to believe, even still, that my novel is getting published. Amethyst Epiphany was a novel I birthed in six months when I was working as a telemarketer. It’s crazy to think that soon it’s going to be an actual book in people’s hands. Many of my coworkers have vowed not only to buy one but several copies of my novel. They help me get more and more excited as this process goes on. My editors keep teaching me new things about writing and the editing process as I go along, and the fun truly seems to be starting. I’m so, so very excited to be among the author’s in their fine crew. Can’t wait to see my novel in print. Maybe then I will realize that this dream is becoming slowly a reality. & I can’t wait to work and continue working on the sequels.